A veritable winter wonderland of polar bears! Three polar bears decked out in red and white are stylish standouts in the winter snow. Dressed in their Coca-Cola scarves, these three friends are ready to enjoy all the fun the wintry weather offers! 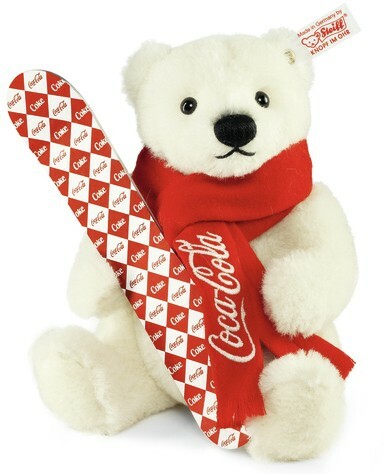 With his snowboard, our 21 cm Coca-Cola polar bear is ready to hit the slopes. Whether skiing in Canada or whizzing down the Alps, the Coca-Cola polar bear is always on the go. 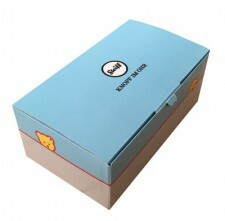 Made of fine alpaca and featuring the gold-plated "Button in Ear" with elephant motif, this 5-way jointed bear is a limited edition of 1,500 worldwide.